When your stove gives you trouble, it can make cooking difficult or even impossible. No matter the make or model, Alex Appliance Repair always comes prepared to complete stove repairs on the spot. We are available throughout the Greater Toronto Area for your convenience. Our team is trained and experienced in performing quality repairs on all household appliances. We are available to perform speedy repairs, and we always come prepared with tools and parts to get the job done sooner rather than later. Your satisfaction is our number one priority, and we achieve this through quality workmanship at the most affordable rates. Your stove deserves the best when it comes to repairs. Your stove deserves repairs that will last and ensure that your meals come out just as they should. Call Alex Appliance Repair for reliable stove repairs anywhere in the GTA. Our family owned appliance repair company always puts the needs of each client first. We understand just how important your appliances are and how budgets can get tight at the best of times. This is why we always aim to complete repairs during a single visit. Getting your stove back up and running sooner rather than later is a must. It’s no fun trying to cook a meal on a faulty or broken stove. Not to mention to cost or inconvenience of ordering out. 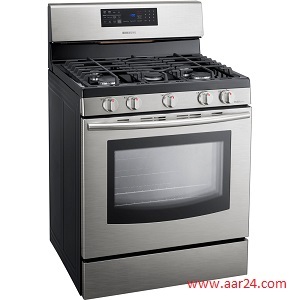 For fast stove repairs by trained professionals, call Alex Appliance Repair today. Stove Repair Connector .When you call somebody to repair your stove, you are trusting these technicians to get the repairs done properly. Not only do we stand by our work, but we also like to set our clients’ minds at ease by providing professional and reliable repair services. We treat every stove with the utmost respect and care to ensure complete and thorough repairs. Your gas or electric supply might be not working properly. If you have an electric stove, your power outlet can not be working fine. Check this by plugging in a small appliance like a hair dryer. If there is no problem with your power or gas supply, then there might be a worn or faulty part to blame. A single burner or more than one can be giving you trouble. Remember, it’s always best to call a professional for safe repairs. When your stove needs repairs, you are bound to have a few questions. Here are some of the most commonly asked questions and answers to help set your mind at ease. Q: How long will repairs take? A: Time is a significant concern for many. Life in the Greater Toronto Area is about as fast-paced as it gets which means that even the smallest of hurdles can prove challenging. When you call Alex Appliance Repair, you can be sure that our team will come prepared with parts and tools to fix your stove on the spot. Q: When will somebody fix my stove? A: Our technicians are aware of the urgency of stove repairs. This is why we offer same day stove repairs. With us, your stove will be up and running sooner rather than later! Q: How to choose the best stove repair technician?